MINNEAPOLIS -- A Minnesota doctor accused of illegally prescribing an opioid painkiller for Prince a week before the musician died from a fentanyl overdose has agreed to pay $30,000 to settle a federal civil violation, according to documents made public Thursday. Prince was 57 when he was found alone and unresponsive in an elevator at his Paisley Park estate on April 21, 2016. An autopsy found he died of an accidental overdose of fentanyl, a synthetic opioid 50 times more powerful than heroin. State and federal authorities have been investigating the source of the fentanyl for nearly two years, and no one has been criminally charged. 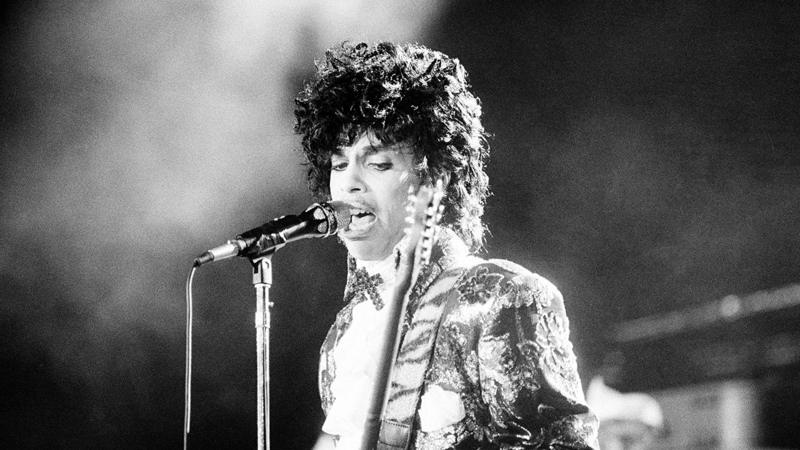 David Bowie, Glenn Frey, Maurice White, Merle Haggard and Prince were among the iconic musicians who passed away in 2016. But federal prosecutors and the U.S. Drug Enforcement Administration alleged Schulenberg, a family physician who saw Prince at least twice before he died, violated the Controlled Substances Act when he wrote a prescription in the name of someone else on April 14, 2016. The settlement, dated Monday, does not name Prince or make any references to the Prince investigation - but search warrants previously released say Schulenberg told authorities he prescribed oxycodone to Prince on April 14 and put it under the name of Prince's bodyguard and close friend, Kirk Johnson, "for Prince's privacy." Schulenberg's attorney has disputed that. "Doctors are trusted medical professionals and, in the midst of our opioid crisis, they must be part of the solution," U.S. Attorney Greg Brooker said in a statement Thursday. "As licensed professionals, doctors are held to a high level of accountability in their prescribing practices, especially when it comes to highly addictive painkillers. ... We are committed to using every available tool to stem the tide of opioid abuse." Under the settlement, Schulenberg has 30 days to pay $30,000 to the U.S. government. He also agreed to stricter requirements for logging and reporting his prescriptions of controlled substances for two years. Among them, he must keep detailed logs of all controlled substances he prescribes, allow the DEA to inspect the logs and other records without prior notice, and allow the DEA access to his prescribing history on demand. It's illegal for a doctor to write a prescription for someone under another person's name. Anyone convicted of doing so could lose their DEA registration - meaning they could no longer prescribe controlled substances - and could face discipline from their state medical board. A confidential toxicology report obtained by The Associated Press in March showed high concentrations of fentanyl in the singer's blood, liver and stomach. The concentration of fentanyl in Prince's blood alone was 67.8 micrograms per liter, which outside experts called "exceedingly high."